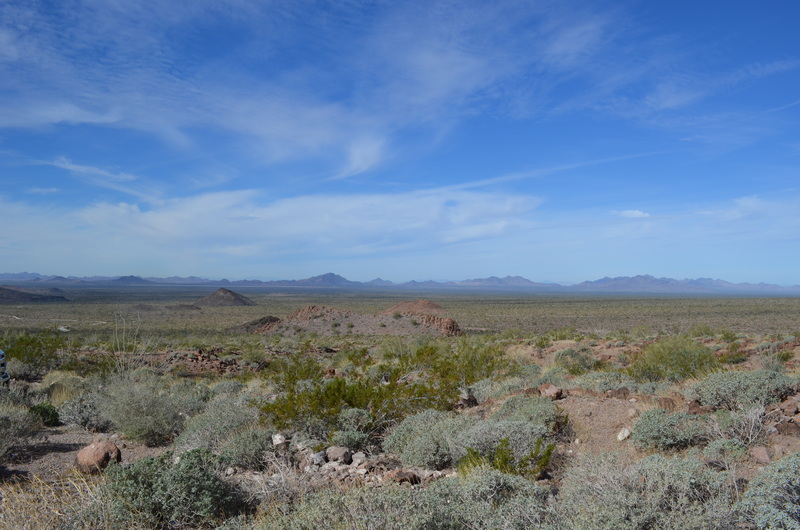 The other day a bunch of us drove the 23 miles down to the Palm Canyon turnoff and the 7 miles on a washboard gravel road to the Palm Canyons trailhead. 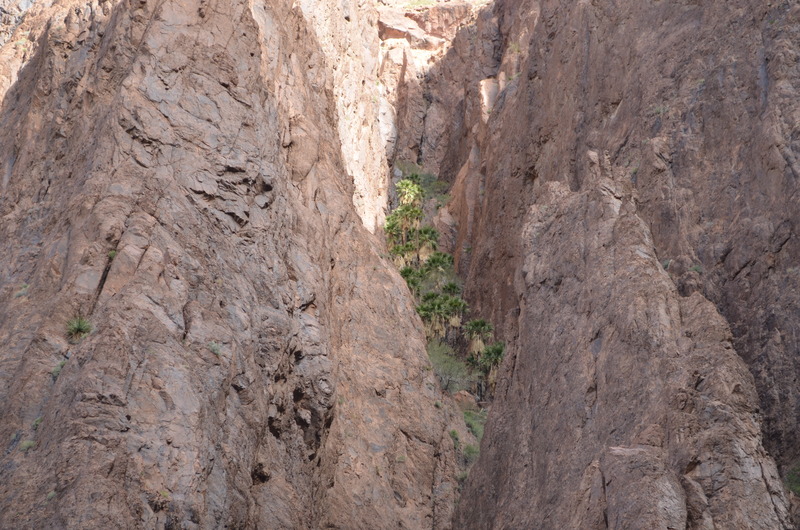 It was only a 1/2 mile hike up the canyon to the spot where you can see the palms growing on the walls of the canyon. 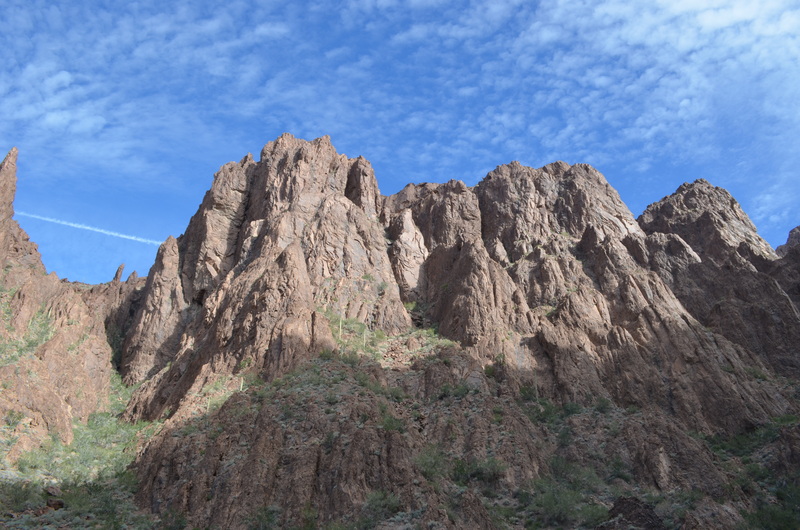 This is looking in the opposite direction out to the Chocolate Mountains. 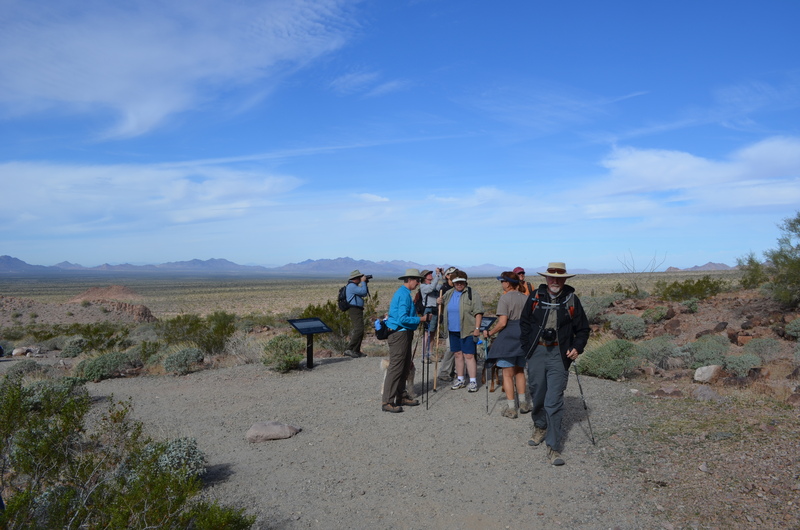 A bunch of us gathered at the trailhead. 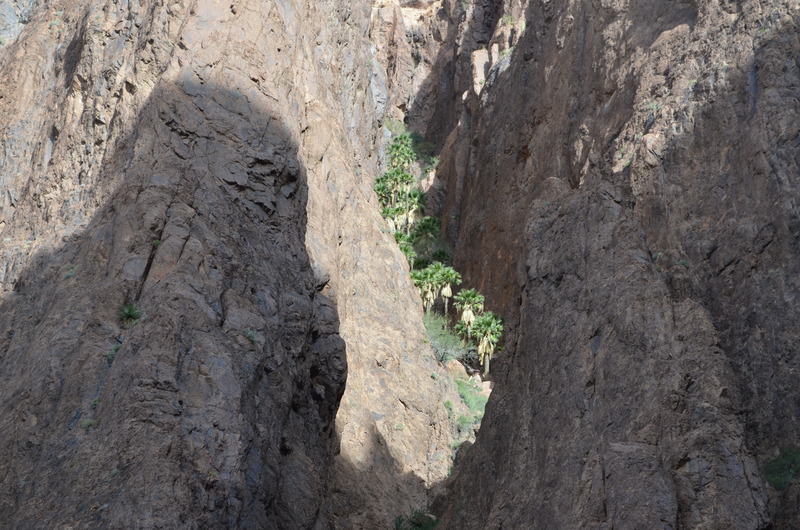 You can see the palms growing out of the rock. 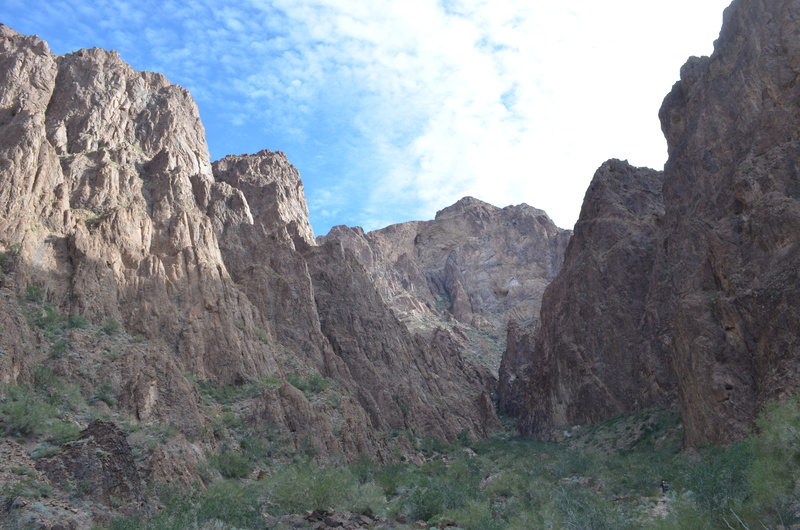 A couple more pics of the canyon. Sara checking out the canyon. 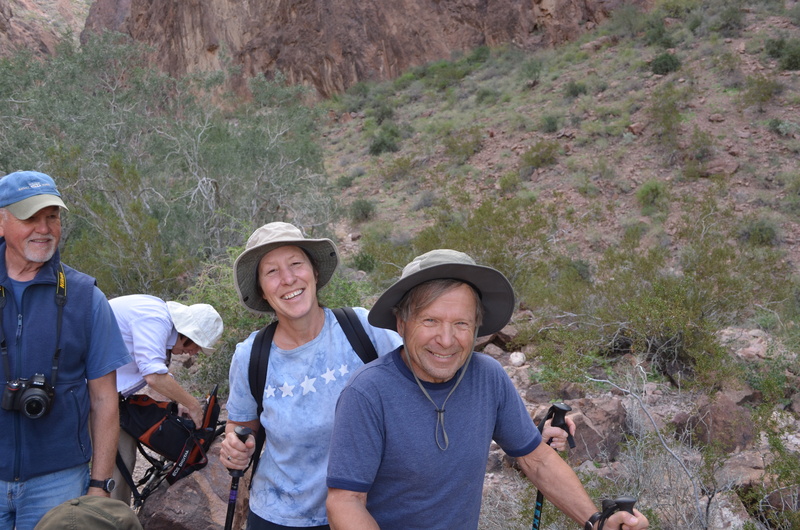 We met this couple coming down the trail. I knew them from Amazon. Funny how you always manage to find friends in the most out of the way places. 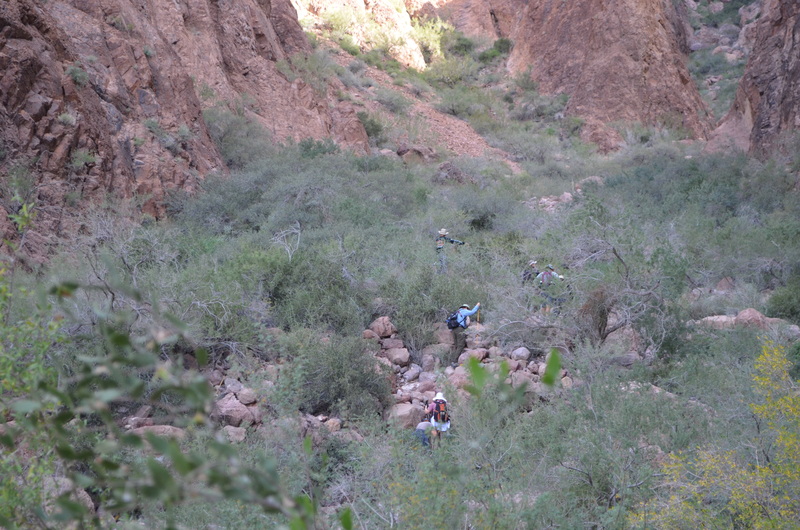 Some of the group decided to hike further up the canyon. A better shot of the palms. It is amazing how they grow up there among all the rocks. 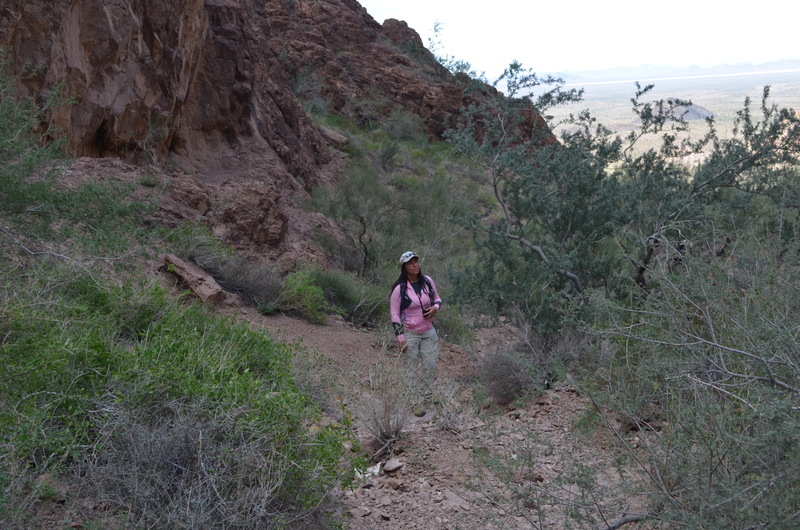 We are planning another hike to a trail we passed before the Palm Canyons trail so stay tuned. 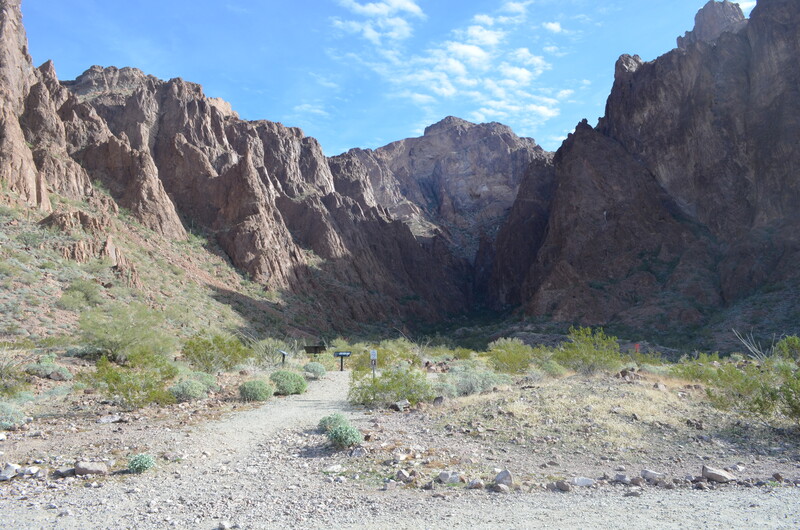 This entry was posted in Amazon, Arizona, BLM Land, Friends, Hiking, La Posa BLM, Quartzsite and tagged Amazon workkamping, Friends, Hiking, Palm Canyon, Quartzsite by Jim Melvin. Bookmark the permalink. That really is amazing. There must be just enough water and soil in that one spot, but I wonder where the palms came from? How did the seedlings get there? Great shots of the Palms and the area. :). Some of our Montana group made that same hike and had a fantastic time. The world does get small doesn’t it. Great photos, another adventure for our to-do list! An interesting spot I may have to check out. I’ve heard there is some dry camping along that road too. Have you ever stayed there?